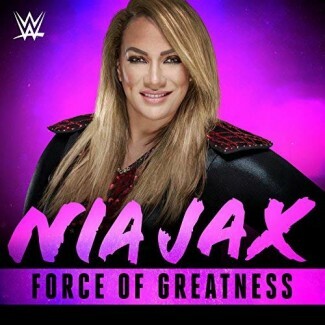 Nia Jax is a force to be reckoned with in the women's division. She aims to prove to be the most dominant and fierce competitor that stepped in the ring. Jax is of Samoan and German ancestry, and a member of the Anoa'i family. She is also the cousin of Dwayne Johnson (The Rock). Jax signed with WWE in early 2014, where she started out in the developmental. Jax eventually made her in-ring debut on May 9th at an NXT house show in Jacksonville, Florida, where she teamed up with Devin Taylor against Bayley and Carmella. On August 22, during the NXT TakeOver: Brooklyn pay per view event, a vignette aired teasing Jax's on screen debut. After making her NXT debut in October, Jax has been an unstoppable force taking on the likes of Bayley and Asuka. "Anyone can be born with or buy pretty features, but that doesn’t make you truly beautiful. True beauty comes from your soul!" Have you ever met Nia or attended Live shows she wrestled? Do you have a fan experience you would like to share? Well look no further, here at NiaJax.com, we would like to hear about your experience with Nia. If you have any candids, scans, or stories, email us at NiaJaxCom@gmail.com. Full credit will be given for every donation! 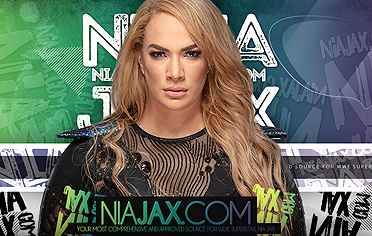 NiaJax.com is an approved source on WWE Superstar, Nia Jax. We are in no way affiliated with WWE, or any other company. This is strictly a non profit fansite. No copyright infringement is intended. We do not claim ownership over any content posted on the site and give full credit to sources used. All photos, video content & media belong to WWE and all original source. We do not claim ownership of any content. All photos are being used under the Fair Copyright Law 107.copyright to their correct owners. If there are any problems with the information that we post please notify us to have it removed or credited. Ric Flair came out along with Nia Jax, Tamina, Alicia Fox, and Mickie James. Jax started singing and the crowd started booing. Nia then goes on to say she turned down a record deal to sign with WWE. Elias calls out his friends and out come Sasha Banks, Bayley, Ember Moon, and Dana Brooke to set up the first match of the night. Sasha Banks picked up the win for her team after forcing Alicia Fox to tap out to the Bank Statement. Nia Jax and Tamina dominating performance. At one point Tamina and Nia stormed through Bayley. Nia had the crowd going through out the match, taunting them with her attempted punch to Bayley but was transition into a submission hold.